We recently upgraded phones and after some research, I got the iPhone 6 and Jill got the Samsung Galaxy Note 4. We like the idea of being on different platforms and in theory having the best of both worlds in the same family. Ultimately our choices came down to which phones have the best camera and functionality for kids. The iPhone has “guided access.” Basically you triple-click the home button and it locks a user into an app. The only way to get out is to triple-click again and enter a PIN to exit. We also disabled in-app purchases and required my fingerprint for other purchases. This has worked great for handing the phone to our 3 year old and not having to worry about him wandering around. We heard about the Kids Mode on the Galaxy S5 from some friends and were excited to hear about the Samsung Galaxy Note 4 Kids Mode as well. After seeing the demo at the store, we picked one up and fired it up at home. We found that Kids Mode wasn’t actually loaded onto the phone. We knew there had to be a way to install or enable it, so we took to Google and searched for anything about the Galaxy Note 4 and Kids Mode. Unfortunately pages and pages of results were fruitless. We went through all the settings on the phone, but found nothing either. By chance we clicked on the “Galaxy Essentials” banner factory set on the screen and it took us to some sort of Galaxy App Store that had Kids Mode available for download. I’m not sure why it was so difficult to find in the first place, but hey, we got it downloaded and installed and kids are lovin’ it. Hopefully this is helpful to anyone searching for the same solution. Enjoy! Great advice. Thank you so much. I’ve been a little bit concerned when I searched for KIDS mode on my new Note 4 and didn’t find it at all. I’m using it a lot for our 2 and half years old boy on a Note Pro 12.2 and I’ve also used Kids Mode on my old Note 3. I’m happy that using your advice I’ve found it. Thank you. Thank you! I have kids mode on my galaxy S4 and my 2 and 4 year old love it. We were disappointed when we couldn’t find it anywhere for my wife’s new note 4. I’ve searched the Internet several times but your post was the first to point out that a galaxy app store app exists and that it is where to find kids mode. My Note 4 spontaneously reset to factory settings and I lost Kids Mode as a result (who knew that if the down volume was depressed long enough the phone would completely reset). I’ve been through every setting trying to figure out where Kids Mode was and through the App Store and nothing. Thank you SO much for this! Happy New Year (and here’s to hoping they get their sh*t together and load this onto the phone)! Thanks in advance – this setting looks perfect for my kids! I don’t have the phone in front of me, but the Galaxy Essentials is a widget that’s typically on one of the home screen pages when you swipe left or right. If it’s gone, I think you can add back by touching any blank space on your home screen. That should bring up a toolbar at the bottom with a widgets button. Find the Galaxy Essentials widget and drag it to the home screen. Then you should be able to access it. Thanks for the info. Do you know if there is a way to save the drawings made in kids mode? My kids spend time creating elaborate paintings, but I don’t see a way to save them. Thanks, again. There’s a plus sign that wipes the slate clean so to speak, but it saves the previous image in your gallery. Thank you for the info. 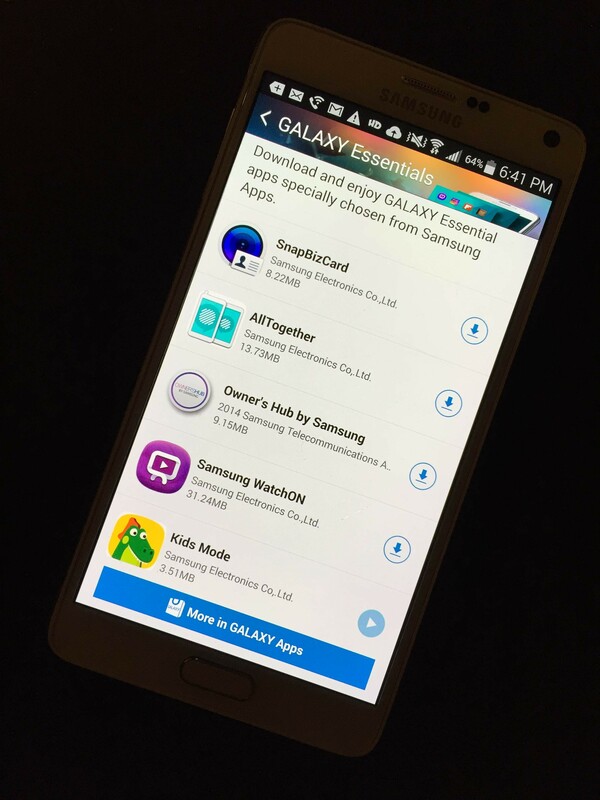 I tried the galaxy essentials widget but could not find the app. Just got mine and it has 5.1.1. Any advice isgreatly appreciated. 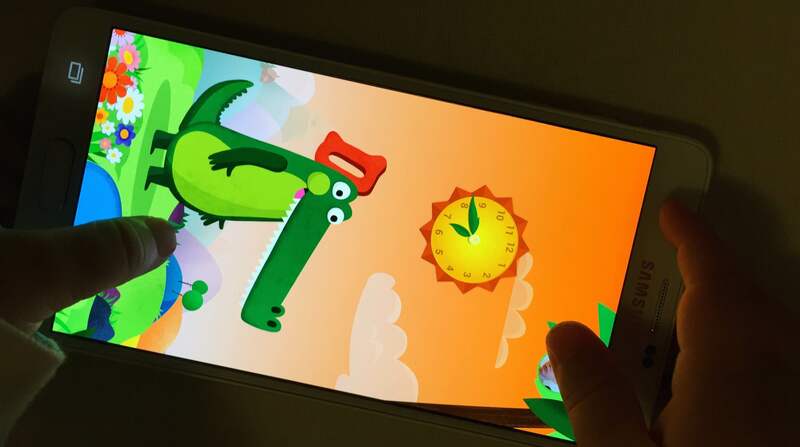 The app where I found it is actually called Galaxy Apps and then I searched kids mode and there it was, with the alligator. It’s the best kids mode app available, in my opinion. Been searching all over the Play Store for Kids mode on this new phone…thankfully a helpful person such as yourself, posted this and made my day!!! Found it, thank you!